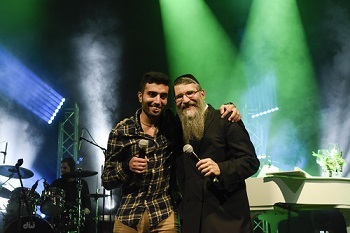 Hadassah International Israel (HII) drew over 1200 men and women to the Tel Aviv University for a Saturday night fundraising concert to renovate the Hadassah Mount Scopus rehabilitation facilities where injured soldiers and terror survivors are among the patients. The Concert was titled ” To Our Soldiers with Love”. The “superstar” of the evening was the celebrated Hassidic singer Avraham Fried who flew in from New York for the event. 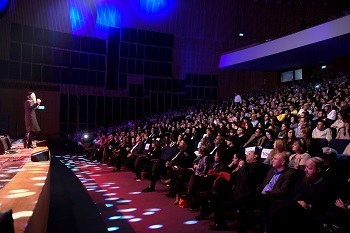 Fried created an ambiance of Melave Malke, the post-Shabbat celebration of “accompanying the Shabbat Bride,” engaging the large audience, which was mostly composed of religious Israelis, in community singing. 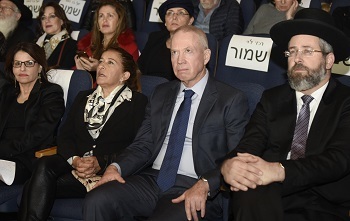 Fried repeatedly thanked the staff of Hadassah for their sacred work. He has visited patients in both Hadassah hospitals. The songs included references to Hadassah and passages from the Maimonides Oath of the Physician. 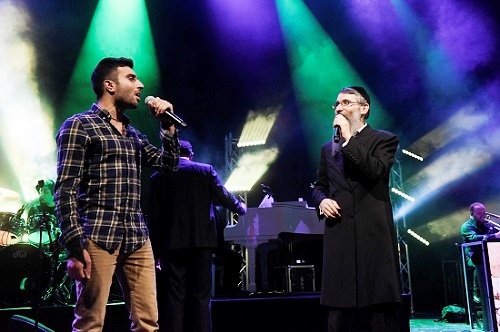 Fried and his ensemble were joined on stage by up-and-coming singer star Ishai Rebo, who also blessed the life-saving treatment at Hadassah. A highlight was the performance by Hadassah patient Hayim Levtov, who was severely wounded in the Gaza Operation Protective Edge. He joined Fried in singing his hit song “My small leaf” an emotional ballad in which a wizened tree addresses the confident young leaves about the vicissitudes of life.